The stock rallied 16 per cent to Rs 8.59, after the company announced that GVK Airport Holdings will acquire an additional 13.5 per cent stake in Mumbai International Airport from Bidvest Group. 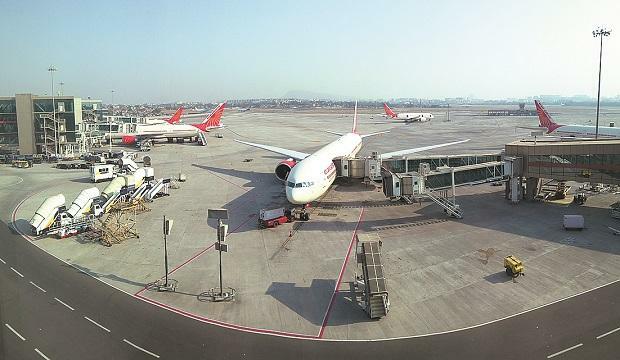 Shares of GVK Power & Infrastructure rallied 16 per cent to Rs 8.59 apiece on the BSE in intra-day trade on Monday, after the company announced that GVK Airport Holdings will acquire an additional 13.5 per cent stake in Mumbai International Airport Ltd (MIAL) from South Africa's Bidvest Group for Rs 1,247.40 crore ($175 million). GVK Airport Holdings, a step down subsidiary of GVK Power & Infrastructure, has exercised its right, under “Right of First Refusal” in terms of the shareholders agreement dated 4th April 2006. The Hyderabad-based GVK group informed the exchanges on Saturday that it would acquire 162 million shares, constituting 13.5 per cent of the total capital of MIAL, from Bidvest at the rate of Rs 77 per share. The Rs 1,247-crore deal for Bidvest’s 13.5 per cent stake will increase GVK’s share in MIAL to 64 per cent. “Upon completion of this acquisition, the equity shareholding of the GVK group will increase to 64 per cent from the existing 50.5 per cent of the total paid-up share capital of MIAL,” the company stated in its filing. In the past one week, the stock of GVK Power & Infra soared 61 per cent from the level of Rs 5.32, as compared to a 1 per cent rise in the S&P BSE Sensex. It touched a 52-week low of Rs 5.05 on February 18, in intra-day trade. At 01:42 pm, GVK Power & Infra was trading 9 per cent higher at Rs 8.05, against 0.51 per cent gain in the benchmark index. The trading volumes on the counter jumped more than three-fold with a combined 17.81 million equity shares changed hands on the NSE and BSE so far.